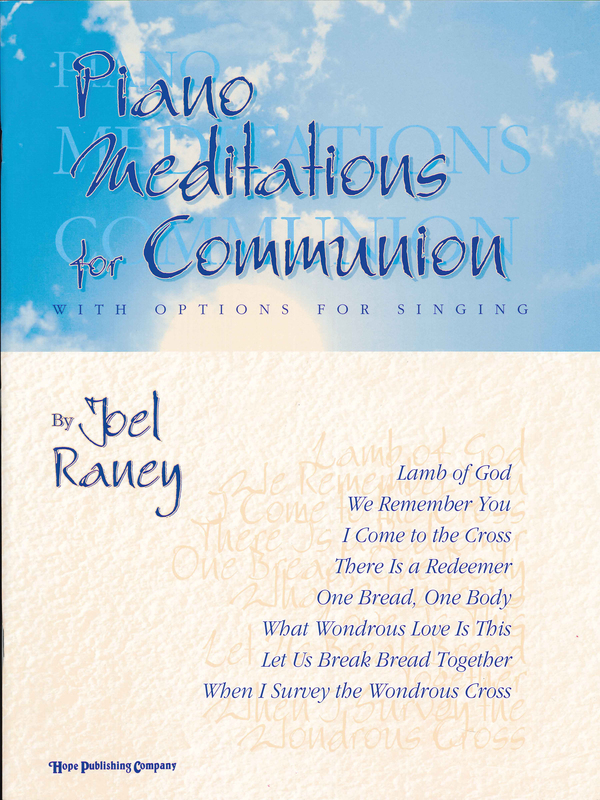 Here are eight gentle piano settings for communion from Joel Raney, all of which include the option of singing on the first verse. Each arrangement begins with an introduction, followed by the tune, in singable form, for optional soloist, choir or congregation. After the singing, the piano solo continues to develop and conclude the arrangement. A part for a vocal soloist is included as a pull-out.